The rental application process in New York City is notoriously intense. Renters have to prove their financial stability, demonstrate their employment history and often secure guarantors. And then on top of all that renters have to pay a broker’s fee. It’s a lot of work and money and not a lot of fun. To ensure that your application is accepted and you can get back to more important things, use the rental application form checklist below. What Does the Rental Application Involve? 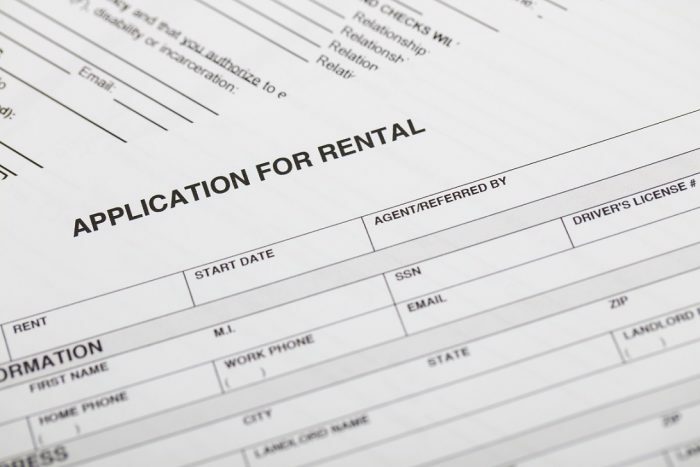 Before outlining the forms and paperwork you need to submit, let’s talk about what a rental application is all about. For starters, when you decide you’d like to move forward with an apartment, you should submit an application ASAP. In full-service buildings you’ll be able to apply right there; for others, you can apply at your agent’s office. An application consists of a rental application form, supporting documents and a check to cover the application fees and security deposit. Every landlord has their own unique form, so be sure to check with your broker in advance of the viewing to see if there are any unexpected documents or forms you need to bring. You’ll want to be sure you have documents to back up everything you state on the form. If a renter doesn’t pay rent on time or becomes a nuisance to the neighbors, the landlord’s business can be adversely and significantly affected. The application process, which includes background checks and financial checks, helps a landlord minimize risk. Typically a landlord will pick the least risky, most qualified tenant.